From The New Criterion. September 30, 2010. Like most of the many people who know him — our acquaintance is not intimate but of 20 years standing — I was shocked and dismayed to learn over the summer that Christopher Hitchens was suffering from esophagal cancer and that, as is so often the case with this particular cancer, it had metastasized to other parts of his body before it was detected. Last year, the same cancer had killed Ron Silver, another 9/11-era apostate of the left whom I knew slightly. I was equally shocked, if not surprised, to hear Mr Hitchens in an interview under the shadow of death with Anderson Cooper on CNN offer an iron-clad assurance that he would never be a death-bed convert to belief in God or religion. 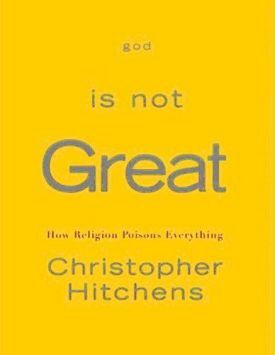 Of course, since his best-selling book, God is Not Great: How Religion Poisons Everything, was published in 2007, atheism has become so much a part of the booming Hitchens brand that it would look rather feeble and cowardly — not Hitch’s style at all — suddenly to aver, as he finds himself staring death in the face, that the poison might conceivably prove to be Johnny Walker Black Label after all. Come to think of it, however, his favorite tipple came in for its share of the blame for the cancer, along with his virtually lifelong cigarette habit, during the Cooper interview. Some poisons, obviously are more seductive than others. The poison du jour at the time of this television appearance had already been administered in the form of the chemotherapy which had left him looking doughy and hairless as a newborn but otherwise remarkably, even disturbingly fit as he refused to countenance even the possibility of God or His grace. He couldn’t answer for what he might or might not do under the influence of pain or drugs in extremis, he said, but so long as he was himself and lucid, the doors of his mind and heart would remain as firmly closed to belief until the end as they have been for the years of his professional and polemical atheism. Surely, that was going further than necessary to assure his public that neither illness nor prospective mortality had wrought any change in the opinion of God’s non-existence that he had done so much both to divine and to satisfy the demand for? It seemed to me, anyway, like a sort of suicide in being a pre-emptive refusal of the grace for which most men in most ages have hoped, even when they could not believe. As it happens, Messrs Hitchens and Cooper also spoke of suicide, each of them having lost a loved one (a mother and a brother respectively) to self-slaughter, though neither noted that it used to be thought the sin against the spirit — the unforgivable sin that would keep you from being buried in hallowed ground and forever excluded from the company of the blessed. I wondered if there was any significance in the opportunity missed to give the deity yet another kicking for that. But viewers did learn that atheism was no prophylactic against guilt in Mr Hitchens’s case, as his mother had tried to telephone him several times without success before fordoing herself in a Greek hotel room as part of a suicide pact with a lover. Obviously, he must suffer no anxiety on behalf of her immortal soul. Dead is dead to an atheist. Yet even an atheist might grasp the supernal logic behind the inadvisability, not to mention the bad manners, of returning unopened what so many for so long have so fervently hoped and believed to be the gift of God. As the Welsh farmer said when asked why he left offerings for the fairies, "I’d be a damned fool if I didn’t" — though I suppose there is a sort of honor in such foolishness. Yet if Mr Hitchens is in many ways a living embodiment of Aristotle’s megalopsychia, the distinctively large-souled man, he seems to me in this respect to fall short of that ideal. For belief is more large-minded than unbelief, since it is more inclusive. That is, belief always encompasses doubt, as any believer will tell you, while doubt too often excludes belief, just as he does. There can be few believers who are as mortally certain that there is a god as he is that there is not one, and there is something slightly boorish about so adamantine an insistence on the infallibility of one’s own opinion, on this subject as on any other. Even the Pope, however deluded he may be, makes a show of delicacy about such claims on his own behalf, though of course his ex cathedra pronouncements are no more than opinions to his enemies. Mr Hitchens is what such "New Agnostics" as Paul Kurtz or Ron Rosenbaum, as scornful to the new atheists as they are to believers, call a "True Unbeliever." This I believe to be a holdover from his many years on the left, which inherited from Marx a preternatural certainty as to the truth of what to unbelievers often appeared a gimcrack theory of history. Some such certainty is obviously a necessity when the theory itself requires, as Marx’s did but Jesus’s did not — the case of Mohammed is still in dispute — that unbelievers must be killed in its name. Nowadays Marx is still read and celebrated, mainly in the universities and mainly by followers of one of his followers in the well-manured field of "cultural studies," but he is less often invoked than he once was as the justification for murder. The old habits of the adversarial left die hard, however, as you might have guessed from listening to Mr Julian Assange, the impresario of the "Wikileaks" website when it published a document dump of secret information about the war in Afghanistan. According to one report of Mr Assange’s appearance before the Frontline Club — "the London hub for a diverse group of people united by their passion for the best quality journalism" — to explain himself, his self-certainty makes even Christopher Hitchens’s look hesitant and doubt-riddled. Pushed by one Frontline questioner over whether WikiLeaks was a danger to national security, Assange became visibly annoyed. "You often hear that something may be a threat to U.S. national security. This must be shot down, whenever this statement is made," he said. "If we are talking about the threat to individual soldiers or commands or citizens somewhere in the U.S., then that is a genuine concern. But a threat to U.S. national security? Is anyone serious? The security of the entire nation of the United States? It's just ridiculous." In other words, there is no such thing as a threat to U.S. national security and even the idea that there might be is "just ridiculous." Denial of the existence of God is one thing but denial of the existence of national security — for that is what Mr Assange’s statement amounted to — is a bit of a puzzler. True, neither God nor national security can be seen with the naked eye and so both exist, if they exist in this world, rather as concepts than palpable beings, like Mr Hitchens or his cancer. Belief in both God and national security, too, long antedates any doubts of their existence. Indeed, if you take a large view of the adjective "national" as encompassing such pre-national entities as families, tribes, cities, empires or princedoms, both national security and God could for millennia be taken for granted as having existed, even where they were resented, subverted or openly rebelled against. Belief, let alone fervent belief, in non-belief is in both cases quite a recent phenomenon, and in both cases it has a constituency larger than those, like Mr Assange, who stand to profit from it. Yet it is nevertheless true that those who stand to profit from non-belief in national security are much greater in number than those in a similar position vis-a-vis God. Indeed, Mr Assange was relying on that large constituency, which for convenience’ sake we may call the media, to protect him from prosecution and possible execution — if not for treason (he is Australian) then for espionage. The truth is, that he was only making rather shockingly explicit the premiss on which the media have been acting for years now, if not decades. When The New York Times revealed the Bush administration’s hitherto secret Terrorist Surveillance Program a few years ago, its self-justification was essentially that it — or, in theory, any properly credentialed news outlet — and not the elected government of the country should be the final arbiter of what was or was not a threat to national security. What is that if not an implicit assertion that national security is, if not non-existent, so trivial a consideration as to be no consideration at all in comparison with the media’s right to publish whatever they want? The fact that the media, since the Pentagon Papers, have always made the call against the government’s pleas for restraint and in favor of publication is a constructive assertion of the same principle to which Mr Assange appealed and the reason why he knew he would be safe in appealing to it. Today’s promiscuous leaking, and the media’s unquestioning acceptance of it [he writes], does G[rievous]B[odily]H[arm] to the idea of Truth. In equating Truth with exposure — so that Truth becomes something which is revealed to us by a supposedly heroic individual in the corridors of power — journalists and editors are compliant in the denigration of the meaning of Truth. Truth becomes, not something we find out through critical study and investigation, but something we are handed by external forces who apparently have always pure, unimpeachable motives. This is Truth as a religious-style revelation rather than Truth as the endpoint of thought, interrogation, question-asking, analysis. In reality, it is only through actively engaging with the world and its problems, through gathering facts and objectively analysing and organising them, that we can arrive at any Truth worth its name. It is through the very process of investigation that the Truth is uncovered and formulated, revealed by the critical act of discovering and thinking rather than by some mythical, external ‘Truth-holder’. Waiting for the Truth to be revealed is always a fool’s errand — whether you’re waiting for God to reveal it, or, even worse, some sap in a suit in the Pentagon who one morning has a very belated pang of guilt about his role in the destruction of Afghanistan. In short, the media culture places an artificially high value on hidden truth merely because it is hidden and therefore requires the agency of the media to expose it. 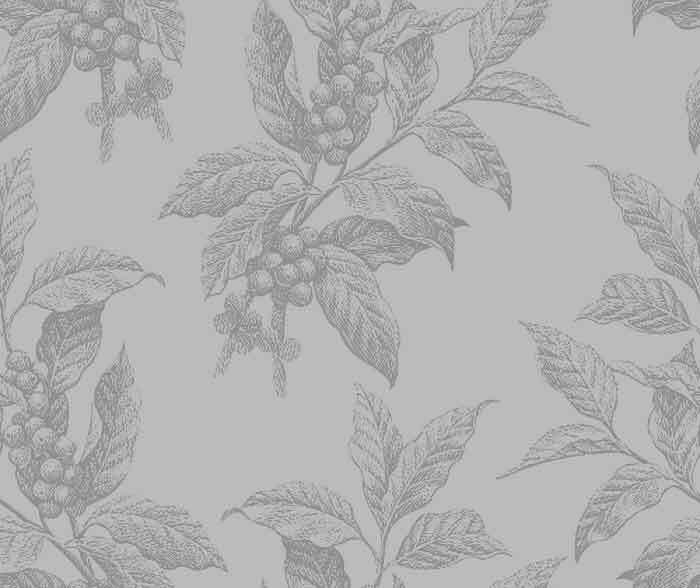 The hidden truths are thus, in being wrenched from the context of the unhidden and unremarkable, in order to be isolated and made to look (as far as possible) scandalous, no longer truths at all. It merely becomes yet another restatement of the media’s by now quasi-religious belief in its own truth-telling infallibility vis- -vis the national security establishment. Mr O’Neill is right to debunk this sort of "religious-style revelation" as a model for secular truths, but it is religious-style only in the sense that Christopher Hitchens’s certainty in unbelief is so — which is to say that religious-style is to religious what butter-style popcorn toppings are to butter. Real religion is not only revelatory but revelatory of something, an existence and not a non-existence, a reality and not an unreality. That’s why doubt must be a part of belief but not vice versa, since you can’t believe in something real but unseen without also doubting it. Not- believing is often as attractive as it is precisely because it imposes upon its acolytes no such troubling uncertainties. If it is not The Truth so much as certainty in The Truth that is your object, nothing beats despair. Allow me to go even further and suggest that uncertainties today are more troubling than they used to be at least partly because we all now demand the right to be judged by no one but ourselves. My favorite recent example is that of Mr LeBron James, a professional basketball player who was, up until July of this year, the mainstay of the Cavaliers of Cleveland, but who decided in a bizarre public statement that attracted far more public attention than either Mr Hitchens’s cancer or Mr Assange’s Wikileaks — and, for a brief period at least, probably even more than Mr Ellsberg’s Pentagon Papers — to transfer his allegiance (for a consideration) to the Heat of Miami, in the hope that the latter team was more likely to win an NBA championship as a result of his playing for it than the former. When the Cleveland fans and the Cavaliers’ owner, Dan Gilbert, protested against what they regarded as his perfidious treachery to them and their own hopes of a title, his reply was to say: "I know how loyal I am." Wonderful! The rest of the world knows how loyal he is too, and yet he and it know different things. Go figure. Almost equally enchanting in his sublime solipsism was former Governor Rod Blagojevich of Illinois who explained his failure to testify at his own trial on corruption charges by claiming to believe that the prosecution had actually been acting for the defense. "I believed all along I would testify," Blagojevich said in the lobby of the Dirksen Federal Court building. The government, he said, led his defense team to believe the trial would last four months and that several other witnesses would testify. "But the government proved my case, proved I was innocent, and there was nothing further for me to add." Obviously, belief in anything so improbable must be difficult to sustain without an equally firm belief in the infallibility of one’s own judgment. Every man his own Pope! This must be what is responsible for the increasingly strident statements of opinion on both sides of the political divide in America. Here, too, Mr Assange and his pitiably self-infatuated source are hardly outliers. As I sat down to write today I noticed the headline, "Zero Grounds" in The New Yorker, a once respectable journal of opinion. It advertised an article by Hendrik Hertzberg in which the author felt it not sufficient to state his own opinion and make his own arguments in favor of the plans for construction of a mosque in the near neighborhood of the former World Trade Center, destroyed by Muslim fanatics nine years ago this month, but insisted on trying to make the case that there could be no other opinion of the matter than his own. Likewise, I remembered a headline in The New Republic a week or so previously — I hadn’t bothered to read the article — which averred that Rush Limbaugh’s "campaign" against the Chevy Volt, a $41,000 electric car, was "insane." With the same sort of self-certainty, Judge Vaughn Walker of San Francisco not only decided that the 14th Amendment to the U.S. Constitution, adopted in 1868, had for the last 142 years meant that men could marry men and women could marry women but also that what would have seemed for most of those years his wildly eccentric opinion in the matter was "beyond debate." I guess that spares him a lot of trouble, even if it is being just a bit cavalier with several millennia of human history. My favorite reading over the summer months has been a new book by another leftie journalist named Kathryn Schulz — obviously someone with a lot of experience of being wrong — who describes herself as a "wrongologist." The book is Being Wrong: Adventures in the Margin of Error (Ecco, 405 pp., $26.99), and in it she explores what she calls the "meta-mistake" of our so often fatal addiction to the idea of being right. Far from being a sign of intellectual inferiority, the capacity to err is crucial to human cognition [she writes]. Far from being a moral flaw, it is inextricable from some of our most humane and honorable qualities: empathy, optimism, imagination, conviction, and courage. And far from being a mark of indifference or intolerance, wrongness is a vital part of how we learn and change. Thanks to error, we can revise our understanding of ourselves and amend our ideas about the world. Her own confidence in being right "that however disorienting, difficult, or humbling our mistakes, might be, it is ultimately wrongness, not rightness, that can teach us who we are" seems to me both more hopeful and more humble than anything I have read in a long time and an antidote to the ever more strident certainties of today’s public life.